Recently in our Noontime journey we have examined how to best survive the ups and downs of a life lived in discipleship. We have reflected on how to best withstand the plots and schemes devised by the discontented. We have focused on how to best respond to God’s call. And through all of this we may find ourselves exhausted. If this is so, we must do as Jesus and his companions did . . . we must go apart for a time. If you are able, make the intentional effort of leaving one day a week to re-connect with the treasure of yourself. If you have spent much time with chores and tasks, put them aside and go out into the world to experience the gift of connecting with others. If you need time on your own, set yourself apart for a time either alone or with someone with whom you need to re-connect. Put away anything that takes you away from restoring your soul and re-filling your well. Our world draws us into or out of ourselves in such alluring ways that before we notice, we have either detached ourselves from human community or we have thrown ourselves entirely into it without listening to our hearts. What we seek today is a bit of balance for with balance comes wisdom and peace. 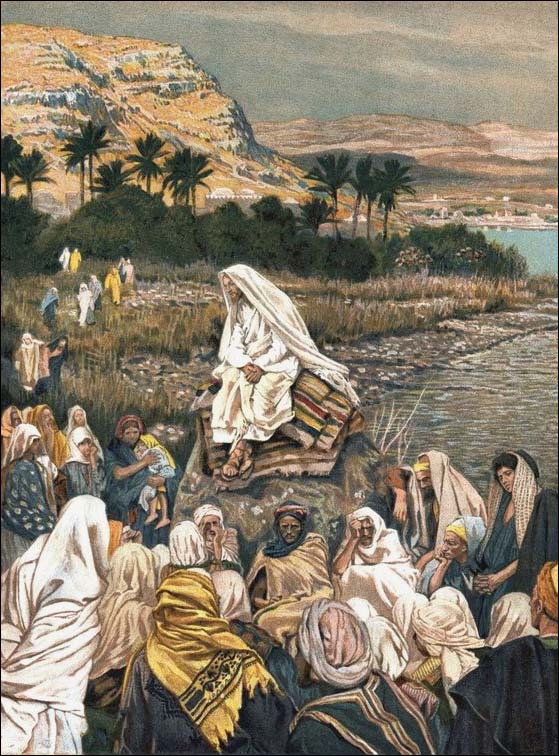 To help us reflect, let us look at some of the images created by James Tissot, and let us remind ourselves that we are in each of these scenes. Let us thank Christ for walking with us each day even when we forget his presence. And let us carry Christ to others as we have been asked to do. If you have a favorite citation from scripture in which Jesus withdraws for a time either alone or with his disciples, insert it in the comment box below. 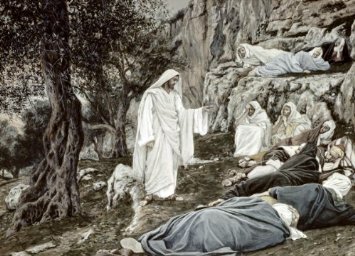 If you are more visual, search the net for another of Tissot’s scenes from The Life of Christ and share that link in the comment box. May each of us come away with Christ for a time, may each of us restore the soul and settle the heart, and may each of us enjoy a day of peace and balance. Berry, Henry. “James Tissot: The Life of Christ.” Amazon Reviews. 9 Dec 2009: n. page. Web. 21 Jun. 2013. 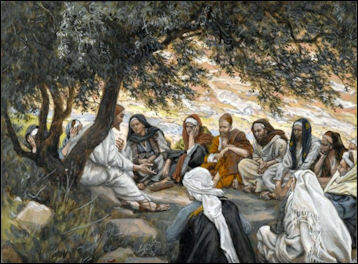 <http://www.amazon.com/James-Tissot-The-Life-Christ/product-reviews/1858944961&gt;.